The juvenile court has transferred a suspect in the murder of 19-year-old Ahmed Aseel to house arrest after the minor’s family said he has depression. The court had previously ordered the minor to be kept in police custody until the murder trial ends. The minor’s family submitted documents to prove he has depression, local media said. Aseel was attacked in Malé in August last year and died as a result of his injuries. He was stabbed near Iskandhar School in the Machangolhi ward of the the capital on August 23 along with two others – aged 20 and 13-years-old – whose injuries were not critical. Doctors had removed Aseel’s right leg in an attempt to save his life after he was stabbed six times. Eyewitnesses said a group of masked men stabbed the two men in the back and struck the minor on the head before fleeing on motorbikes. 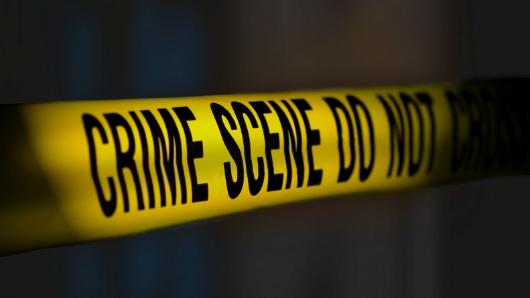 Some eight suspects, including two minors, have been charged over the murder. A 25-year old Bangladeshi national, Shaheen Mia, was stabbed to death in a Malé café in the early hours of the morning on Sunday (March 22), while a Bangladeshi national identified as Bilal was found dead in Alif Alif Atoll Thoddoo Island last night. Speaking to Minivan News, President of Thoddoo Council Hassan Ibrahim said Bilal, estimated to be between 20 and 25 years of age, was found naked with a piece of cloth tied around his neck. Bilal’s employer Hussein Hassan found the dead body at 9:55pm at Seenusanfaage where he had been living with three other expatriate workers. Police officers from Rasmadhoo Island arrived at 10:45pm. “The police questioned the people living with him if there had been any disputes between the Bangladeshi and anyone. 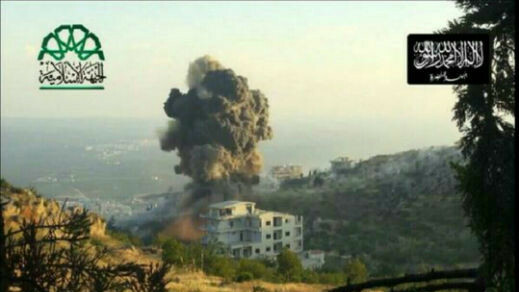 They said there had been none, as he had only come to the island very recently,” Ibrahim told Minivan News. Bilal’s body was brought to Malé at 4:00am today. Thoddoo Council’s Assistant Director Ali Adam said a suicide was “highly unlikely” as Bilal could not have strangled himself with a piece of cloth. The Maldives Police Services said they have not yet determined the cause of death and have not made any arrests. Local media have said there were injuries to Bilal’s face when his body was discovered. Meanwhile, two expatriate workers were stabbed in Malé tonight. According to the Maldives Police Services, one worker was stabbed at 7:30pm, and another was stabbed at 7:40pm near Malé fish market. A police media official said an Indian and a Bangladeshi were injured, and that both have been hospitalised. The circumstances of the attacks, including the nationality of attackers, are not yet clear, the police said. Meanwhile, at approximately 4:00am on Sunday, masked men dragged Shaheen Mia out from his workplace, Lhiyanu Café, in Malé’s western harbour district, and stabbed him in the chest. The expatriate staff work and sleep in the café. The stabbing occurred after repeated threats the previous day. According to local media, a violent confrontation had occurred between Lhiyanu Café staff and a group of young men in the early hours of Saturday morning when the expatriate workers refused to serve coffee free of charge. The group vandalised the café before they left. The same group came to the café at 6:00pm on Saturday and allegedly threatened to burn the place down. Staff had reported all threats to the police. According to the Bangladeshi High Commission, Shaheen’s father on receiving news of his son’s death suffered a heart attack and died. Shaheen’s mother has also been hospitalised. Meanwhile, Home Minister Umar Naseer said the government is considering closing restaurants and cafés by 12am and closing shops by 10pm. Over 25 expatriate workers gathered in protest near the Bangladesh High Commission on Sunday, but were sent away by the police. Human rights group Transparency Maldives has called on the Maldives Police Services to expedite the investigation of Shaheen’s death, and urged the state to prioritise and promote rights of migrant workers. “Migrant workers are one of the most vulnerable groups in the country today. They face huge difficulties in accessing justice and get very little support from the community at large in protecting their rights,” the NGO said. There are over 50,000 expatriate workers in the Maldives, according to the 2014 national census. Street violence is common amongst Malé City’s numerous gangs. There have been 11 murders since November 2013. The family of 24-year-old Abdulla Maail, reported missing on January 27, has expressed concerns that police have been negligent in their investigation of his disappearance. Lhaimagu Island Council has echoed these concerns, saying they are “not at all satisfied” with the manner the police have handled parts of the investigation. Maail – from Dhaalu Atoll Kudahuvadhoo – went missing from the uninhabited island of Firunbaidhoo in Shaviyani Atoll, where he was employed on an agriculture project. Only one other person, 62-year-old Hassan Ali, was on the island at the time of the disappearance. 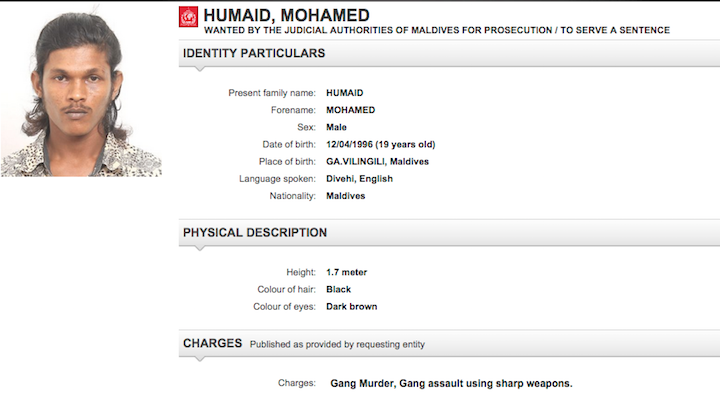 He reported Maail to be missing on the afternoon of January 27, according to police. Police officials have denied the suggestions of negligence, saying that the search up to this point had been prompt and thorough. 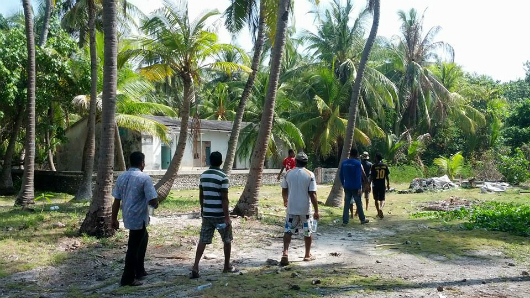 Lhaimagu Councillor Ahmed Shinan said the police had taken long time to respond after the disappearance was reported, expressing concern that the chances of finding Maail had subsequently narrowed. “Hassan Ali told us, in the presence of other council members and police, that he reported Maail’s disappearance to police at 4.30pm. Police, however, did not arrive on the island until after 11pm that night,” claimed the councillor. “It took over 6 hours for police to come, when the distance between Firunbaidhoo and Fonadhoo can be travelled in just under 10 minutes by speedboat. We heard later from the island’s proprietor that police refused to come until he arranged speed boat transfer for them”. Police today acknowledged some “transportation challenges” after the case was reported, but said they had begun work on the case immediately after being alerted. “We only received reports at 6.30pm and I think police reached the scene around 9pm,” a media official told Minivan News. According to the Shinan, however, locals waited hours for police to arrive at the scene. “This was valuable time wasted when we could have commenced the search for Maail. We’re talking about a human being that’s gone missing, not some petty robbery. We cannot afford to be careless in the investigation,” he said. Shinan said that the police had left the island unattended after the initial search, giving potentially guilty parties an opportunity to eliminate or tamper with evidence. He also argued that witnesses had not been investigated thoroughly enough, suggesting that reports of a supply dinghy having visited the island minutes before Maail’s absence was realised could be key. The councillor also expressed disappointment that it took police over two days to begin searching the sea. Police have denied the delay, saying that the coast guard-assisted search began the day after the reported disappearance. Officials declined from giving further details as the investigation continues. Maail’s brother Mohamed Shifau has travelled to the capital Malé from Meemu atoll, after the family had been unable to contact Shaviyani police. “We have continuously tried calling the head of the Shaviyani Police Station to ask for updates on the investigation, but he hasn’t answered our calls even once in the past week,” he told Minivan News. The family have also sent a letter outlining their concerns to the Commissioner of Police Hussain Waheed, though they have as yet received no reply. Dissatisfied with the response from police, Shifau appealed to politicians for assistance, meeting with politicians across the spectrum. “The Shaviyani Atoll Fonadhoo constituency’s parliamentarian Ali Saleem met with us, but said he could give us no more than five minutes. He stated that the police will investigate the matter and there is nothing else he can do for us,” Shifau explained. After failing to contact Kudahuvadhoo constituency MP Ahmed Amir, Shifau met with the opposition Maldivian Democratic Party (MDP). “The MDP was very sympathetic, and Chairperson Ali Waheed promptly arranged a meeting with a committee from the party. They provided assistance by guiding our family on future steps that can be taken,” Shifau said. The government’s failure to investigate and prosecute serious crimes is tantamount to “deliberate state-sponsored terrorism,” contends former President Mohamed Nasheed. In a statement issued yesterday on the occasion of International Human Rights Day (December 10), the opposition leader accused senior government officials and elements of the police of complicity in abductions, murder, arson attacks, and gang violence. “I note that the government has not investigated such incidents that have occurred throughout the year and serious criminals are on the loose. The state has not pressed charges against them,” the statement read. The opposition Maldivian Democratic Party (MDP) was formed to change the old system of governance and bring an end to ill-treatment and torture inflicted on citizens by the state, the statement observed. “Custodial abuse was stopped under the MDP’s first government. Maldivians began to find hope and courage,” it continued. At a rally held last month to celebrate the current administration’s first year in office, President Abdulla Yameen pledged to crack down on violent crime and implement the death penalty. Nasheed’s statement went on to list serious crimes that have occurred in 2014, stressing that the perpetrators have not been brought to justice in the majority of the cases, including the stabbing of former MDP MP Alhan Fahmy on February 2. An expatriate lorry driver was stabbed and robbed of cash and a mobile phone on January 25, the statement continued, while two days later, three men were stabbed in separate incidents in the capital Malé. On February 3, a minor was assaulted with a wooden plank near the Adi Park in the Henveiru ward of the capital and sustained head injuries. While suspects were taken into custody in some of the cases, Nasheed noted that none of the arrests led to criminal prosecution. On April 12, former Gender Minister Dr Amaal Ali was robbed at knifepoint at her residence. On July 31, a 35-year-old man was stabbed to death on the island of Thulusdhoo in Kaafu atoll and the suspect voluntarily submitted to police. Two days later, two young men were stabbed in Malé, resulting in the death of 18-year-old Mohamed Mazin while undergoing treatment for stab wounds. In the previous week, four men and a woman were assaulted in separate incidents. While one man was mugged in the Maafanu ward, two men were stabbed in Hulhumalé, a woman was stabbed in the back in the Galolhu ward, and a fourth victim was stabbed in the Henveiru ward. On August 23, two men and a minor were assaulted and stabbed by masked men on motorcycles in the Dhidhi Goalhi in front of Iskandhar School in Malé. One of the victims, Ahmed Aseel, 19, later died as a result of injuries sustained in the assault. Police intelligence suggests that the spate of violent assaults in Malé since the beginning of Eid Holidays were gang reprisals “caused by a disturbance between two groups,” Chief Inspector Abdulla Satheeh told the press at the time. 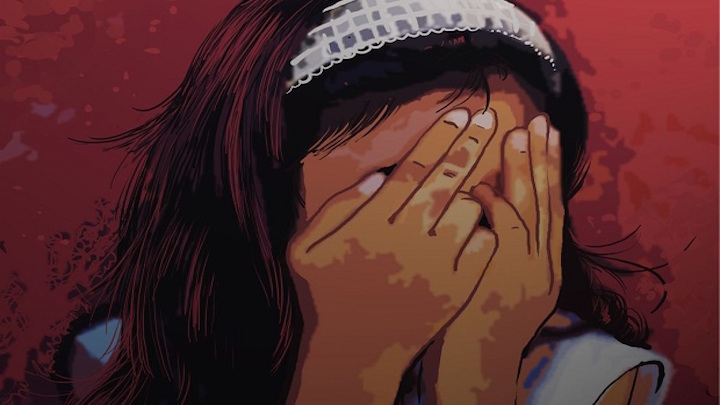 More recently, a man was injured in a violent assault on October 3, a group of girls were attacked with a chain in Raa Madduvari on October 9, and a young man was stabbed near the police tow yard in Malé on October 26. During the past month, two men were stabbed in a café in Malé on November 2 and a young man was assaulted with an iron rod in the Galolhu ward of Malé on November 16. Earlier in the day, an 18-year-old man was arrested after entering the Bilabong International High School with a machete during a gang fight. On December 7, a 28-year-old man was stabbed to death in Malé near the People’s Majlis building. Nasheed also referred to the suspected abduction of Minivan News journalist Ahmed Rilwan 125 days ago, accusing the government of both negligence in investigating the disappearance and covering up the abduction. Moreover, in June, a vigilante mob abducted several young men in a push to identify online activists advocating secularism or professing atheism. Nasheed noted that police did not investigate the incidents despite media reports. “During the past year, press freedom and freedom of expression have declined. Intimidation of journalists and youth active on social media have become commonplace. The government has obstructed peaceful political activity,” the statement read. In October, Amnesty International called on the government to “intensify efforts” to find those responsible for death threats, abductions, and violent attacks against journalists, politicians, and civil society activists. The People’s Majlis yesterday accepted legislation that proposes restricting the constitutional rights to remain silent and retain legal counsel for suspects arrested for violent assault. Presenting the amendments (Dhivehi) to a 2010 law banning “threats and carrying dangerous weapons and sharp objects” on behalf of the government, Progressive Party of Maldives (PPM) MP Ibrahim Didi said “special measures” were needed to curb increasing violent assaults, to ease the public’s fear and anxiety, and to establish public order and safety. Opposition MPs contend that the changes are unconstitutional, suggesting that the government was blaming a lack of legislation for its failure to curb violent crime. The amendments state that suspects arrested for assault with sharp objects or dangerous weapons could not exercise the right to remain silent “to any extent”. Police could also question the suspect if he or she is either unable to have an attorney present within six hours or waives the right to retain legal counsel. Moreover, the suspect could only consult a lawyer in the presence of a police officer for the first 96 hours after the arrest. While Article 49 of the Constitution states, “No person shall be detained in custody prior to sentencing, unless the danger of the accused absconding or not appearing at trial, the protection of the public, or potential interference with witnesses or evidence dictate otherwise,” the amendments state that the court must consider the criminal record of the accused, police intelligence reports, and other information submitted by police. Additionally, the legislation stipulates that the Prosecutor General’s (PG) Office must press charges within 15 days of the arrest and the court must conclude the trial and deliver a verdict within 30 days of the case being filed. In determining guilt, the court shall consider as evidence confessions or statements given at court, audio or video recordings of statements made by the accused to his or her lawyer, autopsy reports, and forensic evidence. Attorney General Mohamed Anil revealed the government’s intention to narrow the constitutional rights at a press conference in October after a spate of violent assaults in the capital – which police said was a series of gang reprisals – saw three young men stabbed to death. Speaking at a party rally earlier this week, PPM Parliamentary Group leader Ahmed Nihan reportedly said that the government would not stand to see young people labelled as gangsters. Several incidents of gang violence have meanwhile occurred in recent weeks. Earlier this week, an 18-year-old was arrested after entering Billabong International High School with a machete during a gang fight. The amendments propose the death penalty for premeditated murder in a violent assault using a dangerous weapon or sharp object as well as jail terms of up to 20 years for other offences specified in the law. Following preliminary debate at yesterday’s sitting, the amendment bill was accepted with 66 votes in favour and five against and sent to the national security committee for further review. “When the government completely failed in tackling crimes that have gone out of hand they now blame it on legislation,” he contended. Prior to the adoption of the new constitution in August 2008, the vast majority of convictions were based on confessions extracted during police interrogation and the police were often accused of torture and coercion. During the parliamentary debate, PPM MP Ibrahim Didi said some cases were stalled at court for up to six years while the amendments would expedite the process and prevent the accused intimidating witnesses. Several MPs objected to suspects being able to remain silent after committing serious crimes and insisted that violent crimes could be reduced if the bill is passed into law. PPM Ahmed Thoriq suggested some rights guaranteed in the constitutional were unsuited to the Maldives. Jumhooree Party Ali Hussain, however, contended that while fundamental rights and freedoms could be narrowed, completely depriving individuals of the right was unconstitutional. PPM MP Mohamed Nasheed argued that preventing suspects from consulting a lawyer in private for four days was excessive and advised reducing the period to 36 hours.